Have An Evening With David Sedaris at the Atlanta Symphony Hall on Saturday Night. 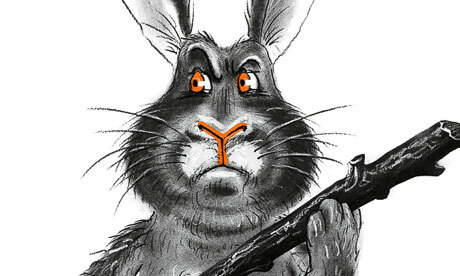 This happy fellow is an illustration from Squirrel Seeks Chipmunk: A Modern Beastiary - Sedaris' latest. He wrote Me Talk Pretty One Day, Barrel Fever and Holidays on Ice. He wrote Dress Your Family in Corduroy and Denim, and When You Are Engulfed in Flames. To call him a prolific and successful writer is an understatement. And, Atlantans love him. In fact, one of Here's What You Do's favorite recommendations is to see The Santaland Diaries at the Horizon Theatre each Christmas. Santaland was Sedaris' breakout performance, when he read in on NPR back in 1992. Horizon has been putting on the production for 14 years now, and we love it! 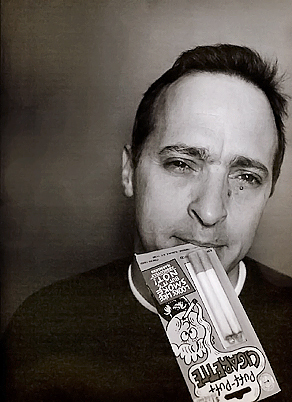 Spend an evening with David Sedaris at the Atlanta Symphony Hall on Saturday Night. "David Sedaris is a tight little package, pardon the expression. Small and compact, polite and business-like with journalists, there isn't the slightest hint of the devastating satirist that narrates his books, writes his plays, or reads his diary entries aloud on NPR. Unless you tease it out of him. Once he loosens up with a kindred spirit, he'll lapse into that southern Kmart cashier, or the handcuffed wife beater on Copswith such precision that you know they aren't much of an exaggeration. They come from his suburban childhood in Raleigh, North Carolina, a locale he found himself dropped into when his family relocated from upstate New York when he was seven. He has ultimately made hay out of his life as an outsider, both as a Greek-American and for growing up gay in an especially gay-hostile corner of the world. His sharp observations of the people who populate his books and plays (the latter of which are co-written with sister Amy), from homo-mocking schoolteachers, to failed mimes and foul-mouthed Greyhound bus passengers, give his writing a hilarity that only true-life experience can impart, but also carry a familiar pang of disappointment and humiliation. There is the sense in both Barrel Fever, his 1994 collection of short stories, and naked, an autobiographical collection of more shorts published last March, that many of the characters' bitter humor comes from an inner conviction of being misborn into the wrong life. They are ignored, abandoned and disenfranchised, and painted in great detail against a background of cul-de-sacs, grocery stores and golf courses. They form a territory unexplored in most contemporary fiction, a genre Sedaris has created by default: Suburban Gothic." An evening with David Sedaris is being held at Atlanta Symphony Hall on Saturday night. It promises to be quite an evening as Sedaris discusses his latest, "Squirrel Seeks Chipmunk". The evening is being presented by WABE-FM 90.1 FM and National Public Radio News. The show starts at 7:30. Get your tickets at Ticketmaster. They're around $50. Here's What You Do does a new day plan every day. Like us on Facebook below to get updates on your Facebook page. Second: Catch up on your reading. You can't go to Sedaris without being adequately prepared. Start with Me Talk Pretty One Day on your iPad. Get the audiobook on iTunes for $14.95. It's a collection of essays, all read by Sedaris - some even live! Third: Saturday is the first annual Atlanta World Kite Festival and Expo. 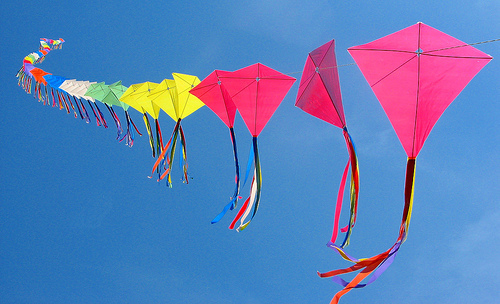 This event is a festival created to celebrate the love of kite flying and family fun. This is the inaugural year and features kite flying, kite demonstrations, kites for sale, music, food, and a children's costume contest. The festival is from 11a - 6p at Piedmont Park. Grab lunch there while you're checking out the kites. The 2012 Atlanta Kite Festival and Expo is happening Saturday at Piedmont Park. Fourth: Nap time. Nothing like it on a Friday afternoon. Fifth: An early dinner at Lure. It's one of our favorite seafood places in Atlanta. And for good reason. They have fantastic sea food. Belly up to the Bar and talk to Brent. Great guy, and maker of the "Say What!" Our hands down fav drink over there. 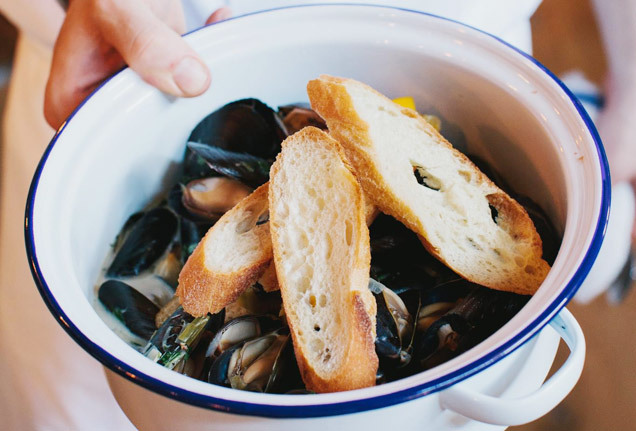 Have some mussels and call it a night. Great day my friends. $30 per person. Lure is a great way to get ready for the show. Finally: An Evening with David Sedaris. Enjoy the show. About $50 per person for tickets, plus $10 for tickemaster services fees, and $10 for parking. Today's full day plan can take up to about 13 miles of driving, if your home base is midtown Atlanta. The 13 miles equates to about 10 pounds of carbon dioxide, or the carbon sequestered by about 2 sq feet of forest. Calculations are based on the U.S. EPA's green house gas equivalencies calculator. 2 square feet of forest would be required to sequester this carbon. Wonder why a gallon of gas (about 6 pounds) generates 20 pounds of green house gas? Check out this article at Slate.com.